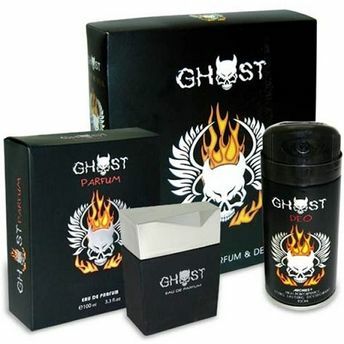 Archies Ghost Original Black Gift Set consists of Archies Ghost Original Black Deodorant and Perfume. Designed to give you long lasting fragrance Ghost deodorant keeps you smelling good for long hours. Provides 24 hours protection from body odour. After application leaves your skin with a cool, refreshed feel. Ghost Perfume is a sophisticated, vibrant perfume spray which is a great addition to your kit. Has pleasant fragrance which wafts around you for hours. It has the ability to elevate your senses in just a single whiff. Archies Ghost Original Black Gift Set allows you to indulge in your routine with an added confidence and energy.